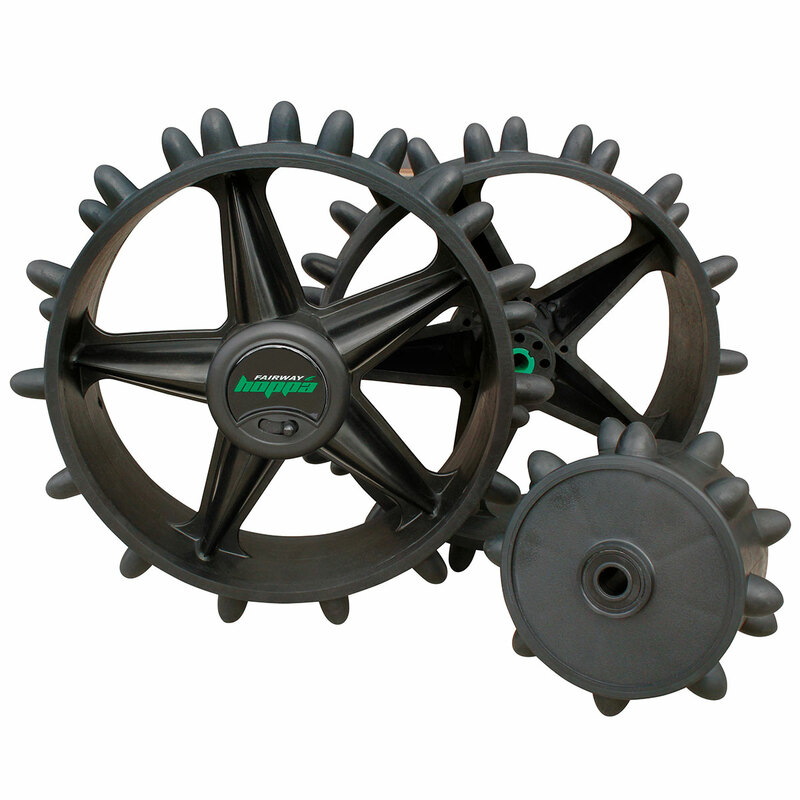 The Winter Hoppa Wheels are perfect for using during the winter season and to avoid winter trolley bans which may be in play use during the late season. 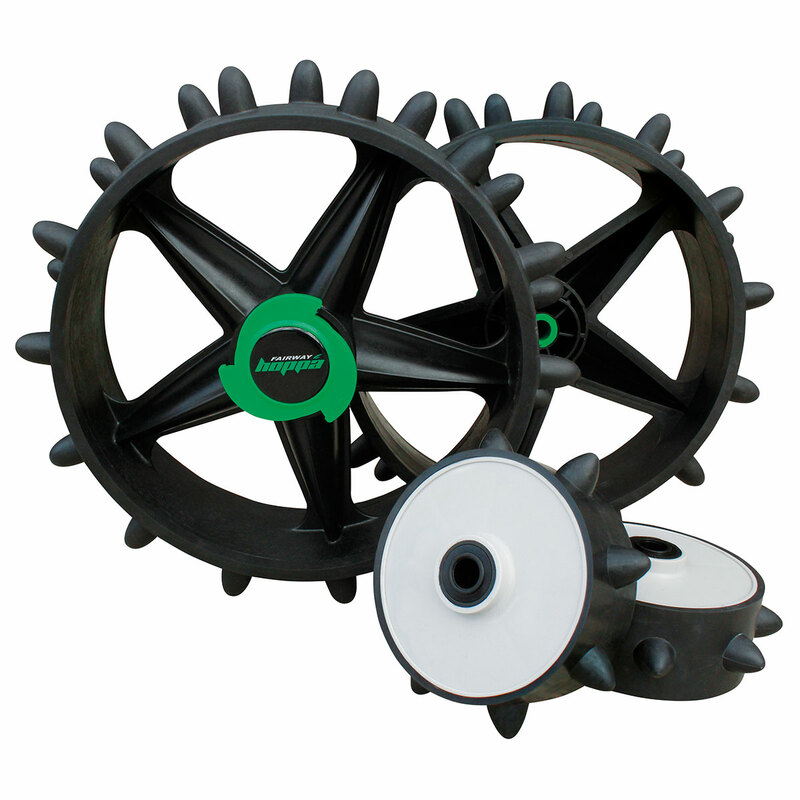 Masters Golf state using the winter wheels will reduce contact with the surface by up to 75 percent, making it easier to manoeuvrer your trolley, and to more importantly to prolong the overall condition of your beloved golf course. The wheels are easy to fit and fit most Hillbilly and Motocaddy electric carts.